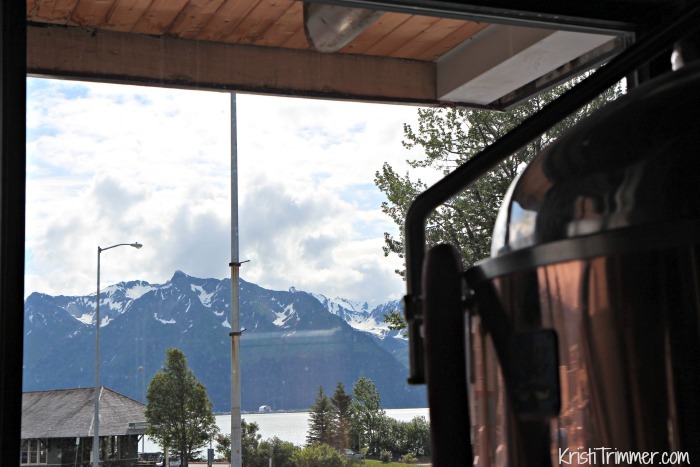 For those of you that are new to this little blog, I love Seward, Alaska. 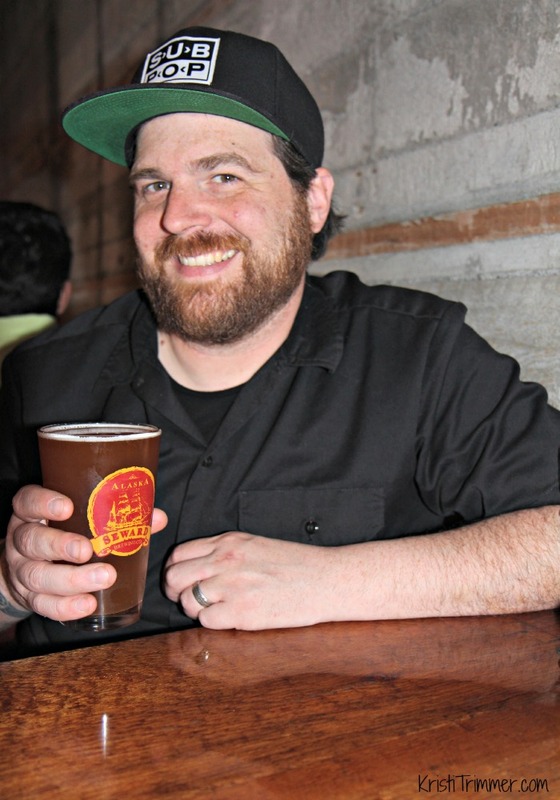 I drove up here from Arizona this past summer to interview all the breweries in Alaska. The first one I walked into was Seward Brewing Company. I met the owner, Erik Slater, who gave me a great big bear hug at our first meeting after exchanging tweets. That was awesome, because you all know I am a hugger! I caught Erik on a brewing day and learned that this was pretty much a small brewery still in its infancy. Erik and his wife Hillary purchased the brewery and restaurant this past year and have been setting out to make it their own ever since. The two of them have 40 years of restaurant experience between them but not much brewery experience. Erik is a classically trained chef, and one of the best in Alaska. I had no doubt that he would be able to produce some pretty tasty brews, but he and I both knew that you typically don’t knock it out of the park in the beginning. 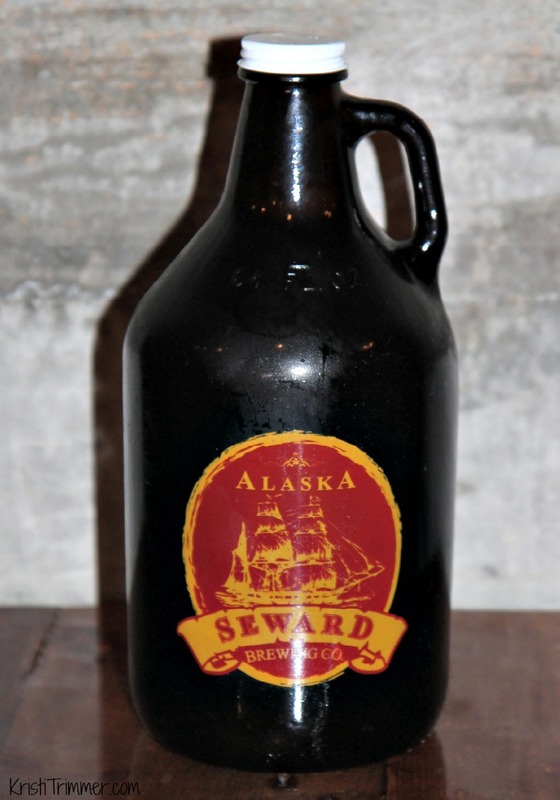 What I loved the most about Seward, and Seward Brewery was how happy everyone was. It truly is a magical place. I mean… look here. Erik is hot and sweating stirring that mash and smiling the whole time. He is pursuing his dream and that, my friends, is amazing to see. And when you have a view out to Resurrection Bay, Alaska, I would be smiling too. Seriously, you can see glaciers from here and on a pretty awesome day I wouldn’t be surprised to see a whale go by either. You have it rough, Erik. So.Very.Rough. I love the grizzly on this logo on the holding tank. This is what greets you as you walk through the main doors. Since Erik and Hillary just took over, I expect to see some rebranding happening this winter. What’s different in Alaska is that not all places stay open year round. 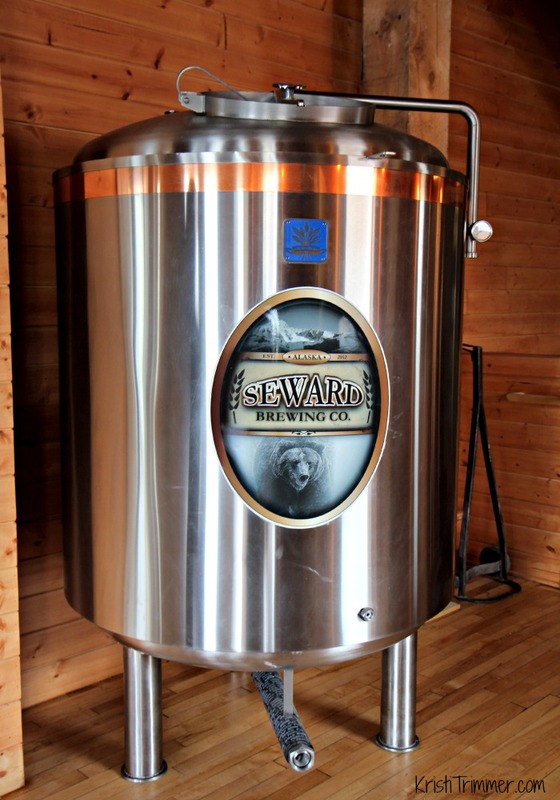 Seward Brewing Company is open during the season of May through September. Ahhhh, the beers. 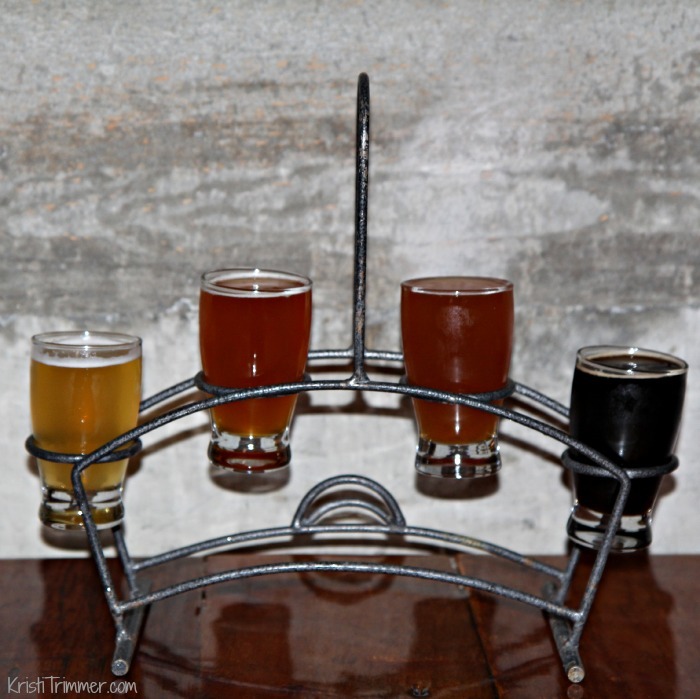 Let’s talk about Seward Brewery’s standard line-up, shall we? Crusty Whale Pale Ale: For a pale ale, it had some nice citrus notes and you could taste the sweetness of the malts, and the finish was a bit on the dry side. Those that know me, know im not a pale beer fan. So nope, not a fan of this one either, but my guy friends that have tried this one swear by it. I would recommend it to someone who is looking for that standard American light beer – not for me! Rockfish Red: Yum! Very light and sweet and oh so delecious. Now we are getting somewhere. This is a good balanced beer and one I could easily drink on a warm summer day (no heat in Alaska, remember?) or out on the boat fishing. Pin Bone IPA: As far as IPAs go, it is definitely hoppy and quite bitter. If you are an IPA fan, try it out and let me know. I for one, will be happy when this whole IPA phase gets phased out. Wait, did I say that out loud? Inked Out Stout: Heaven, pure Heaven. How could it not be when it is a creamy mix of my favorite dark roasted coffee and chocolate? You can taste the malty awesomeness with every sip. The first batch I had of theirs was very thin and I wasn’t a fan. I tried it again once Erik had tweaked the recipe a bit and now he has a fan in me. I am a stout girl, so I am a bit picky when it comes to my favorite dark beers. I was pretty stoked that Erik had time to sit down with me and relax for a moment. 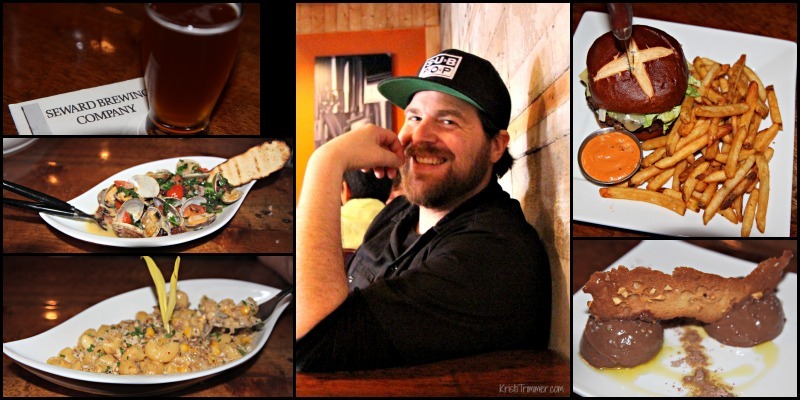 As the Executive Chef he created this awesome menu that I had heard about from all my friends over at Exit Glacier Guides. I was told by many that I must, and I mean must, have the Macaroni and Cheese. Who am I to deny my tummy mac and cheese? And Mussels – OMG, the Mussels!! The burger was quite filling and delicious and then I think they were trying to kill me by chocolate with the Chocolate Salty Balls. You read that right – Salty Balls! Thank you Erik and especially your staff for making sure everything was soy-free for me. I really appreciate you catering to us that have food allergies! I loved my going home present. Filled with Inked Out Stout, of course. I love how fate works sometime. This post is long overdue and was supposed to publish last week but I held it back because of all the chaos going on in the world. Today I received a phone call that some friends needed supplies in Seward. 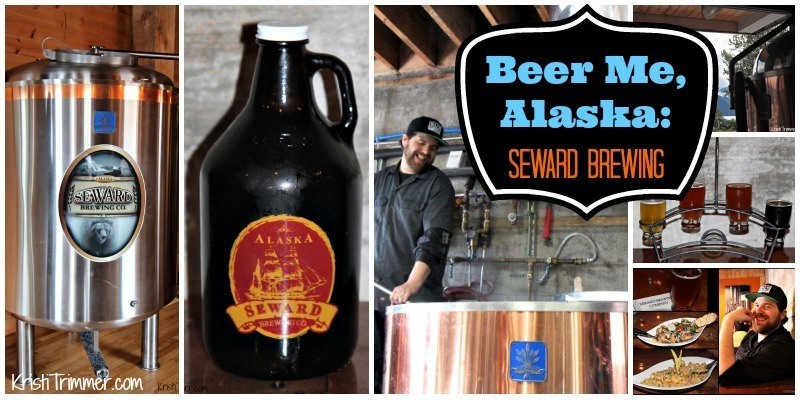 What would be more perfect than for me to hit Publish while in Seward and then head over to Seward Brewing Company for a cold pint? Perfect for me, anyways! Cheers my friend! 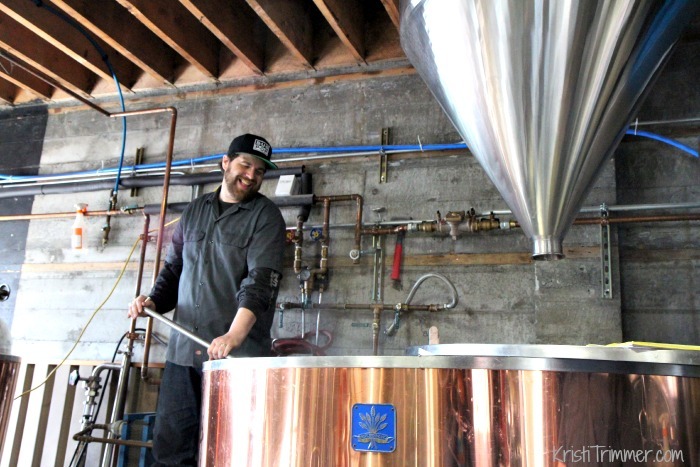 I can’t wait to see what Erik and his team create in this little brewery for next season. I will be here on opening day to find out! I ran into Erik and Hillary at the Kenai Beer Festival and snapped this shot on Instagram.